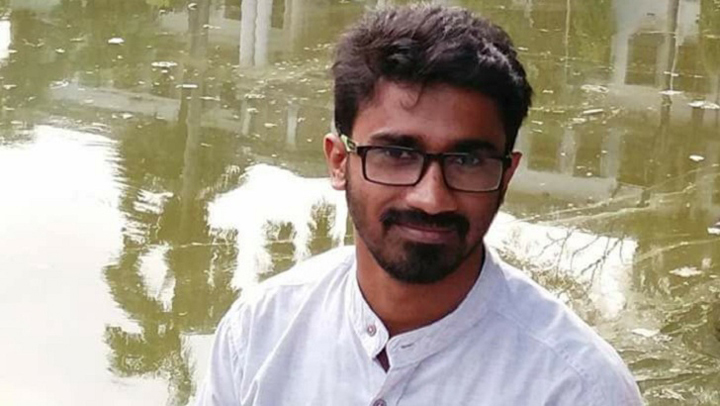 Dhaka, 1 July, Abnews: The Detective Branch (DB) of Police on Sunday arrested Rashed Khan, joint convener of Bangladesh General Students’ Rights Protection Forum, from Bhasantek area in the city. Rashed is the joint convener of Bangladesh Sadharan Chhatra Adhikar Sangrakkhan Parishad. Detectives arrested him from the area around 12:30pm, said Devdas Bhattacharya, additional commissioner of Dhaka Metropolitan Police (DMP). Rashed was shown arrested in a case filed under the Information Communication Technology (ICT) act, said Masudur Rahman, deputy commissioner (media) of Dhaka Metropolitan Police.